Left: Senator Joseph McCarthy. 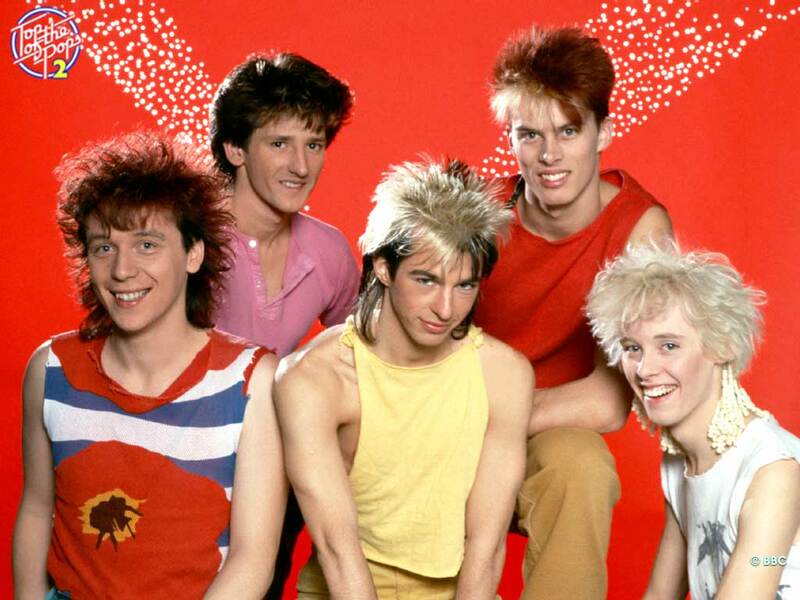 Right: The band, Kajagoogoo. At the Symposium in November we spent quite a bit of time trying to wrap our collective brain around the PINQ privacy technology, what it actually guarantees and how it does so. I’ve attempted to condense our several hours of discussion into a series of blog posts. We began our discussion with the question: What does a privacy guarantee mean to you? Nothing bad will come of this information I give you: It won’t be used against me (discrimination, fraud investigations, psychological warfare). It won’t be used to harass me (spam). The absence or presence of a single record cannot be discerned. Let’s just say definition 1 is the “layperson” definition, which is more focused on the consequences of giving up personal data. And definition 2 is the “technologist'” definition, which is more focused on the mechanism behind how to actually fulfill the layperson’s guarantee in a meaningful, calculable way. Q. What does PINQ guarantee? Some context: PINQ is a layer of code that sits between data and anyone trying to ask questions of that data that guarantees privacy in a measurable way to the individuals represented in the data. The privacy PINQ guarantees is broader than the layperson’s understanding of privacy. Not only does PINQ guard against re-identification, targeting, and in short, any kind of harm resulting from exposing your data, it prevents any and all things in the universe from changing as a direct result of your individual data contribution. Sounds like cosmic wizardry. Not really, it’s simply a clever bit of armchair thinking. If you want to guarantee that nothing in the world will change as a result of someone contributing their data to a data set, then you simply need to make sure that no one asking questions of that data set will get answers that are discernibly affected by the presence or absence of any one person. Therefore, if you define privacy guarantee as “the absence or presence of a single record cannot be discerned,” meaning the inclusion of your data in a data set will have no discernible impact on the answers people get out of that data set, you also end up guaranteeing that nothing bad can ever happen to you if you contribute your data because in fact, absolutely nothing (good or bad) will happen to anyone as a direct result of you contributing your data, because with PINQ as the gatekeeper, your particular data record might as well not be there! What is the practical fallout of such a guarantee? Not only will you not be targeted to receive SPAM as a result of contributing your data to a dataset, no one else will be targeted to receive SPAM as a result of you contributing your data to a data set. Not only will you not be discriminated against by future employers or insurance companies as a result of contributing your data to a dataset, no one else will be discriminated against as a result of contributing your data to a dataset. Does this mean that my data doesn’t matter? Why then would I bother to contribute? Now is a good time to point out that PINQ’s privacy guarantee is expansive, but in a very specific way. Nothing in the universe will change as a result of any one person’s data. However, the aggregate effect of everyone’s data will absolutely make a difference. It’s the same logic behind avoiding life’s little vices like telling white lies, littering or chewing gum in class. One person littering isn’t such a big deal. But what if everyone littered? Still, is such an expansive privacy guarantee necessary? It turns out, it’s incredibly hard to narrow a privacy guarantee to prevent just “harm,” because harm is a subjective concept with cultural and social overtones. One person’s spam is another’s helpful notification. However, change, as a function of how much any one person’s data is discernibly affecting answers to questions asked of a data set is readily measurable. Up to this point, we’ve been engaged in a simple thought experiment that requires nothing more than a few turns of logic. How exactly PINQ keeps track of whether the absence or presence of a single record is discernible in the answers it gives out and the extent to which it’s discernible is a different matter and requires actual “innovation” and “technology.” Stay tuned for more on that. For those following this blog closely, you know CDP is developing the concept of a datatrust. Slightly less obvious may be the fact that we’re actually planning on building a datatrust too. As such, we have been have been following interesting privacy ideas and technologies for a few years now, by attending conferences, reading papers and talking to interesting folks. One of the key realizations that lead to the creation of CDP was that the data that is valuable for analysis (generally aggregate statistical data) is not, in principle, the data that concerns privacy advocates (identifiable, personal information). While that is true in many cases, the details are a bit more complicated. 87% of people in the US can be uniquely identified by a combination of their zip code, their gender and their date of birth. (Since then there has been some debate around that fact – Philippe Golle at PARC said in 2006 its really 63%.) But the fact remains that often your seemingly innocuous demographic data can actually be as unique a fingerprint as your social security number. A ways back I wrote about how it is standard practice for pollsters to tie a set of “anonymous” survey responses to any number of public databases that also contain those demographic details and tie your name(s), address(es), income, title(s), car(s), to your “anonymous” survey results. (Anonymous is in quotes because it’s CDP humor – we believe the term is used incorrectly most of the time.) It’s like the Statistician’s Edition of Trivial Pursuit. In fact, zip code, gender and birth date are just an example – the more characteristics of any person (or place or object or anything really) you collect, the more likely it is that the set is unique. How unique is the set of purchases on your monthly credit card statement? This reality poses a potentially showstopping problem for the datatrust: sure, aggregates are probably fine most of the time, but if we want to store and allow analysis of highly sensitive data, how can we be sure identities won’t be derived from even the aggregates? Enter PINQ, just made public by Frank McSherry at Microsoft Research under the standard MSR license. PINQ or Privacy Integrated Queries, is an implementation of a concept called Differential Privacy (Cynthia Dwork’s paper seems to be a good overview before diving into the math behind it, Frank’s paper speaks to the PINQ in particular. There’s also a tutorial for those who want to get their hands dirty.) PINQ provides a layer between the data analyst and the datastore that ensures no privacy disclosures. Wait, one better: It guarantees no privacy disclosures. How could that be? Here’s an example: Imagine you record the heights of each of the people in your subway car in the morning, and calculate the average height. Then imagine that you also recorded each person’s zip code, gender and birth date. According to Sweeney above, if you calculated the “average” height of each combination of zip code, gender and birth date, you would not only know the exact height of 87% of the people on the car, but, with the help of some other public databases, you’d also know who they were. The guarantee of differential privacy in the above example is that if you remove any one person from the subway car dataset, and asked PINQ again for the average height, the answer would be the same (same level of accuracy) as the answer when they were included in the set. For the analyst trying to understand the big picture, PINQ offers accurate answers and privacy. For the attacker (to use the security-lingo) seeking an individual’s data, PINQ offers answers so inaccurate they are useless. Does it work? I’ve chatted with Frank a lot, and there seems to be a growing consensus in the research communities that it does; based on what I have seen I am very optimistic. However, at least right now, the guarantee is less of a concern than usability: How hard is it to understand a dataset when all you can extract from it are noisy aggregates? We’re hoping that it is more useful than not having any access to certain sensitive datasets, but we don’t know yet. So what will we be doing for the next few months? Taking PINQ out on the highway. And trying to figure out what role it can play in the datatrust. We’ll keep you posted!